Shenandoah Commons, an active adult community in Toms River. Shenandoah Commons is an 55+ Active Adult Over 55 community in Toms River, Ocean County, NJ. When you combine low taxes and low homeowners fees, it make this community a desirable destination for seniors. Because of it’s location near Brick, it’s near to the Garden State Parkway. Atlantic City is a little over an hour away, and New York is also within an easy drive. When it was built between 1993 and 1995, there were 58 single family homes The homes have 2 bedrooms, and, most have a 1 car garage. Generally, the homes are priced to the low $200,000’s. In addition, some homes have a basement. Shenandoah Commons has a clubhouse. But frankly, with only 58 homes, there is not much going on. But this doesn’t mean you cannot use facilities not in the community. There are public golf courses nearby, You can go fishing or boating. Shopping and dining are also in the area. If you have the desire, get out and do something. East/west transportation is available on Route 70. Additionally, the Garden State Parkway is close. NJ Transit offers bus service on Route 9. In addition, there are Park and Ride locations nearby. 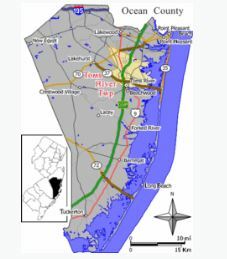 Ocean Ride also provides bus transportation within Ocean County.12 bus routes connect key residential areas with popular destinations. The Reserve-A-Ride Program provides non-emergency medical transport service to seniors. Advance reservations are necessary, but you’ll be charged a fee. When you’re ready to either buy or sell a home in Shenandoah Commons, contact us. Call Bunny and Art Reiman – the Active Adult Community Specialists.